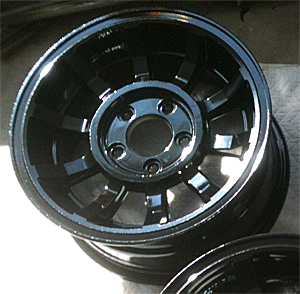 Helping you with your repair or classic restoration. 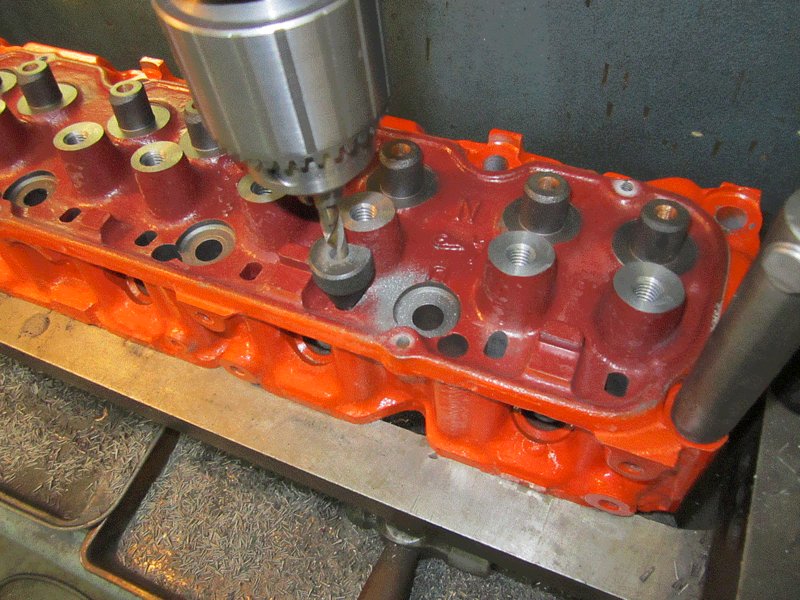 After modifying this set of 462 casting sbc heads for studs and plates we extend the push rod slots with a home made "Lewis Tool" to allow clearance for cams with over .500" lift. 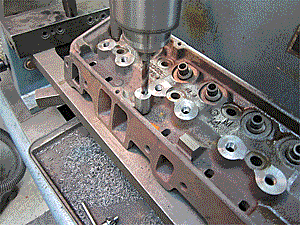 I have since found a source for the tool from Comp Cams #4710. Note: the hole below the one being done is completed, the slot is now about .050" longer. 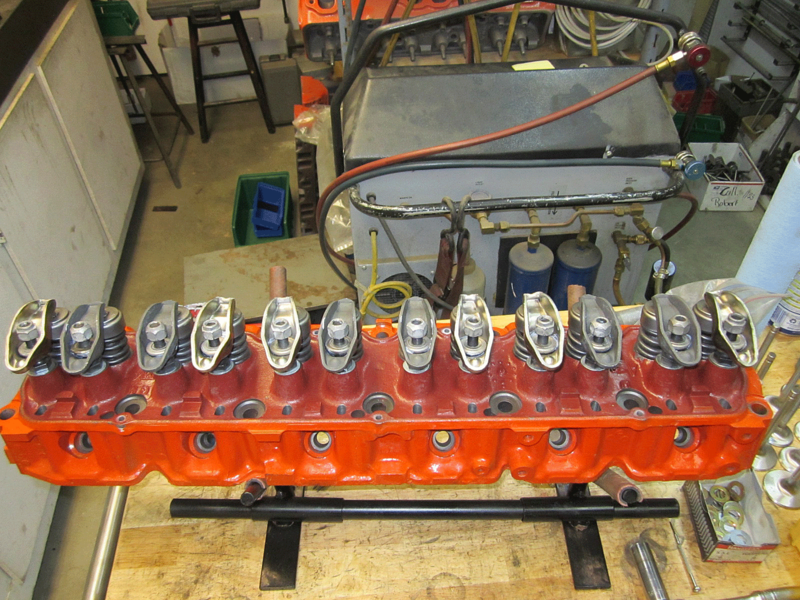 Buick 455 Stage one with sunnen hone finished valve guides. 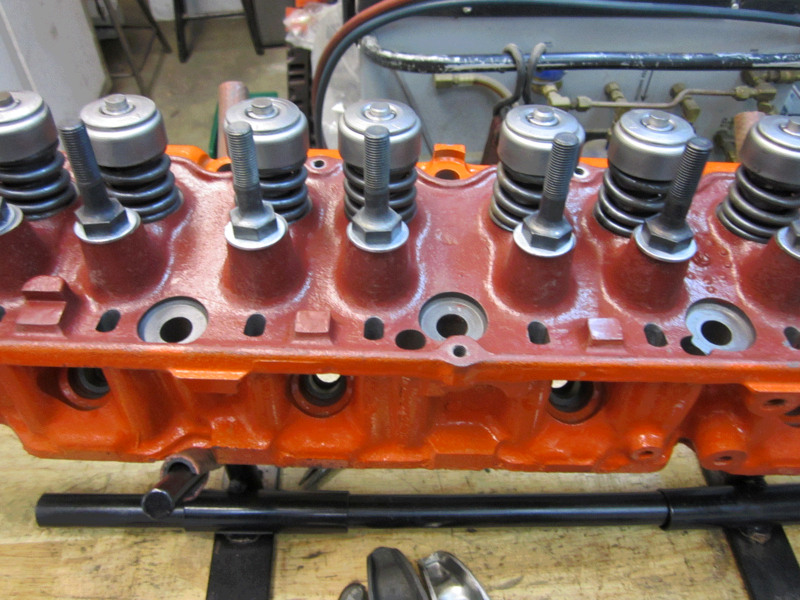 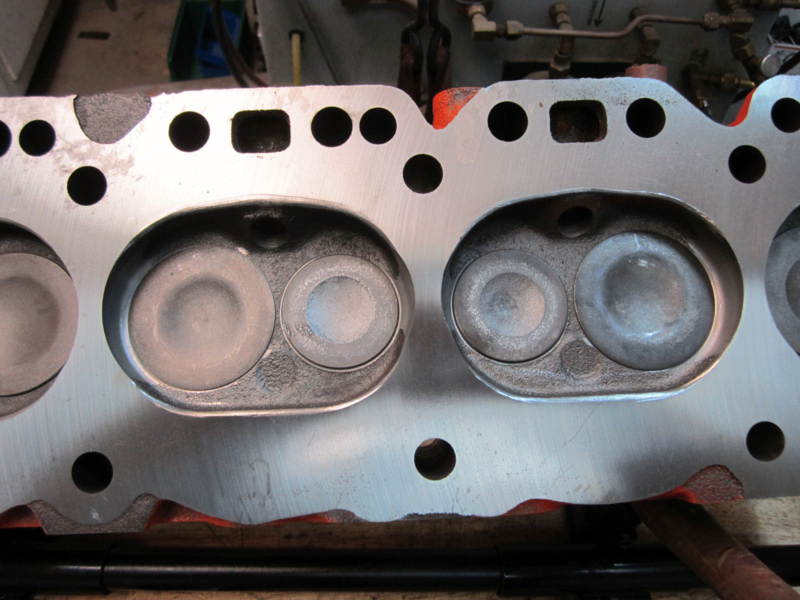 Cheverolet 250 six cylinder head with 2.02 intake and 1.6 exhaust valves, Screw in studs and Sunnen honed bronze valve guide liners.